The USB-C wall charger provides multiple flexible methods to charge your mobile devices whether you’re at home or outdoors. Like the idea? Let’s have a look. 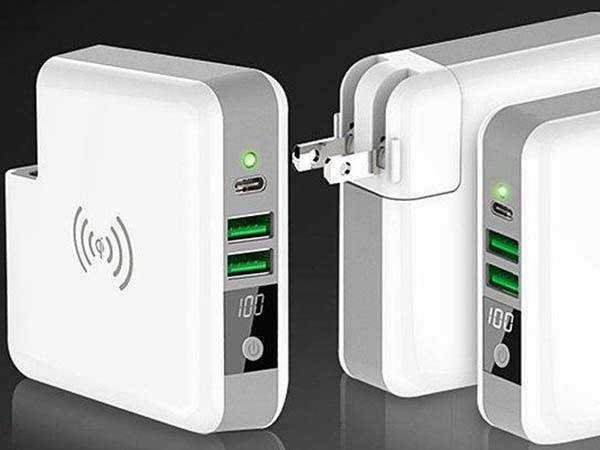 This is a powerful, multi-functional USB-C wall charger. As we can see from the images, it shows off a low-profile, minimal appearance design, and the compact body and foldable plug allow you to easily store it in your bag for portability. Meanwhile, it supports all 120/240V outlets in order to work in different countries. The USB-C port supports up to 2.4A/5V output and 5V/3A input for quickly charging your USB-C smartphone or recharge itself. 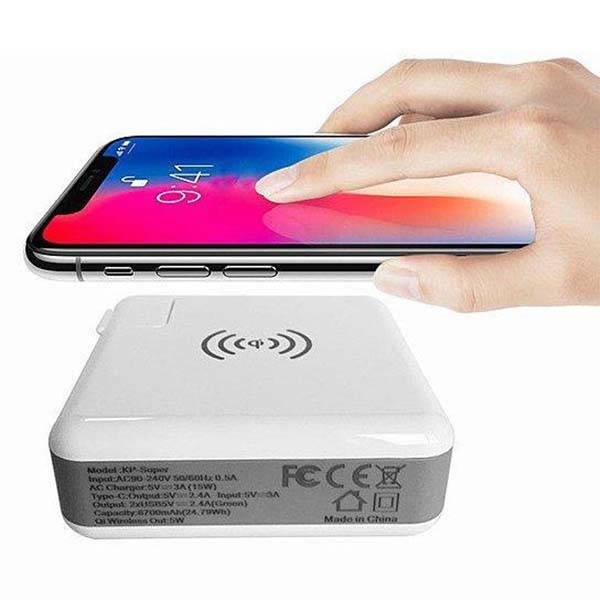 The portable charger comes equipped with 6700mAh rechargeable battery so it doubles as a portable power bank, and two USB ports with 2.4A total output allow it to charge other USB devices. Moreover, a wireless charging pad has been built in one side of the charger for those Qi-enabled smartphones. Built-in surge protector protects your devices during charging, and integrated LED indicator shows you the battery level of the power bank. The multi-functional USB-C wall charger is priced at 90 USD. If you’re interested, jump to Fancy for its more details.